MVS personnel from around the UK gathered at many venues to commemorate the 100th anniversary of Armistice Day. Chris Todd and Freddie Brown represented MVS HQ at St George’s Hall and the Cenotaph in Liverpool. At Tower Hill in London George Mellett attended the Remembrance Day ceremony at Tower Hill on behalf of the MVS. MVS Northumbria again organised the Remembrance Parade of Sail on the River Tyne and were joined by the Tyne and Wear Fire Service and the North East Maritime Trust. Members in East Sussex joined services in both Bexhill-upon-Sea and Eastbourne which took place in very heavy winds. Paul and Sue Mills from MVS Rushden were at the Festival of Remembrance at the Royal Albert Hall remembering the service of their grandfathers Charles Thomas Glover and Daniel Owen Evans. 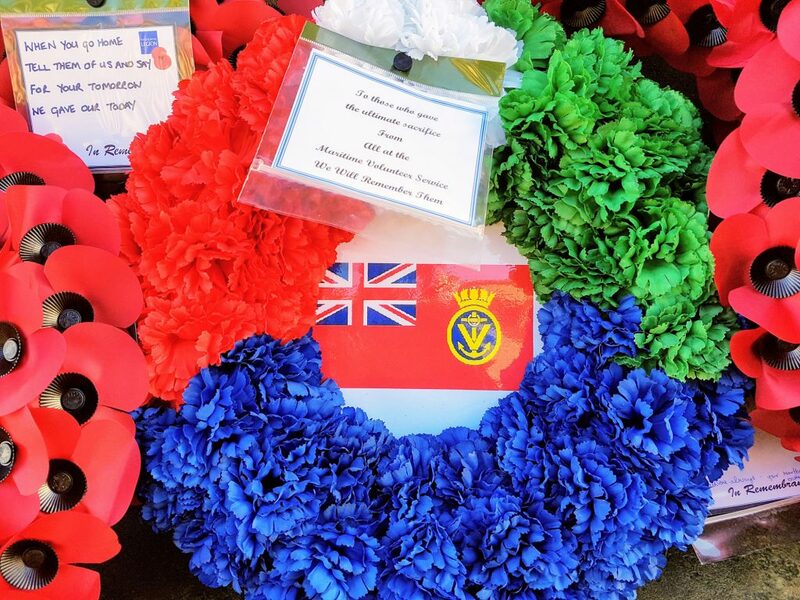 Members of the Dundee Unit mustered at the Dundee International Submariners Memorial in Dundee docks and laid a poppy wreath. Severn Unit took part in the parade at Tewkesbury in Gloucestershire. Hundreds of people lined the route and joined in the service at the Cenotaph in the town.